Microsoft’s only handset launch at Mobile World Congress has gone on sale in the UK today. 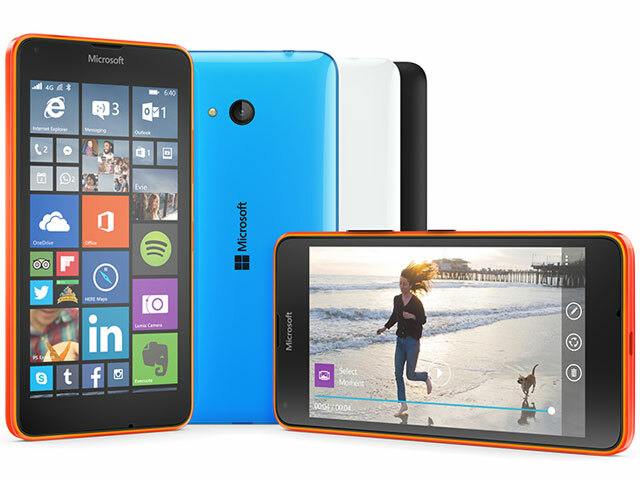 The Lumia 640 will be joined by its larger variant, the 640 XL, by the end of the month. The 640 has a five-inch display, 8MP camera, a 1.2GHz processor and 2500mAh battery. It is available in glossy cyan, orange and white, and matte black. It is available on O2 for £99 for new prepay customers joining the network. The beefed up XL variant comes with a 5.7-inch screen, 3000mAH battery and 13MP camera. It will be priced at ¬189 for the 3G version and ¬219 for the 4G handset. It is available in matte cyan, orange and black, and both matte and glossy white and is priced at £219 SIM-free. People are looking for a device which brings them more flexibility to switch easily between work and play, without breaking the bank, said Microsoft Devices UK acting general manager Simon Rayne. The devices also come with a year’s subscription to Office 365, 60 global Skype minutes every month for a year and 1TB of OneDrive storage. The subscription can be used on one smartphone, one tablet and one PC.